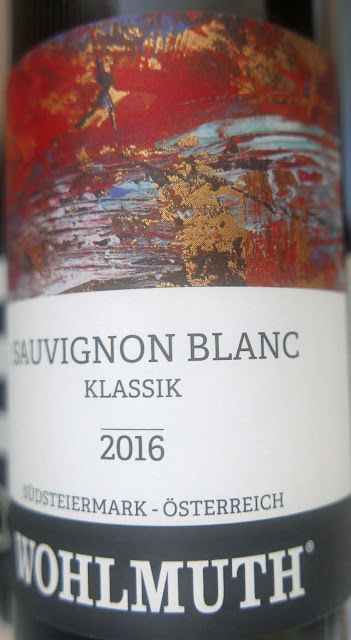 While you may not immediately associate Austria with Sauvignon Blanc, Steiermark, to the south west of Vienna and next door to Slovenia, is synonymous with fresh, aromatic white wines, particularly Sauvignon Blanc. 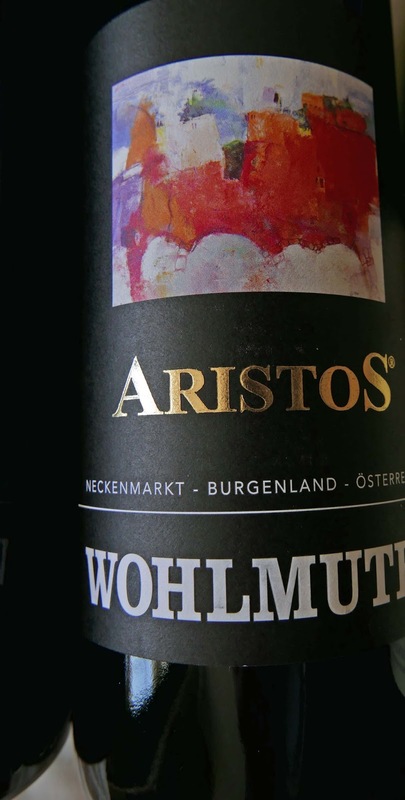 Here’ll you find the Wohlmuth winery who also produce wine from other grapes such as Pinot Gris, Riesling, Muskatteler, and a blend of Cabernet Sauvignon and Blaufränkisch, most of which are available via Karwig’s. Wohlmuth, by the way, is regarded by The World Atlas of Wine, as a producer of “some of Südsteiermark’s most elegant wines”. 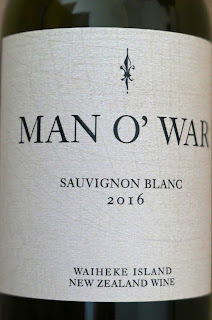 This Sauvignon Blanc is classed as trocken (dry) and it is. It has quite a light lemon colour. 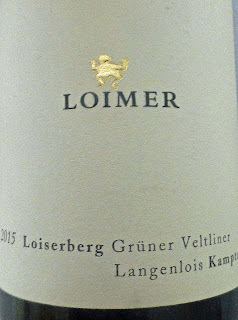 Moderate intense aromas, herbaceous, leafy, hints of mint. 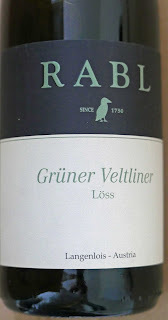 On the palate it is light and gently fruity (ripe nectarine, peach, melon) and the lively acidity is a balancing factor. 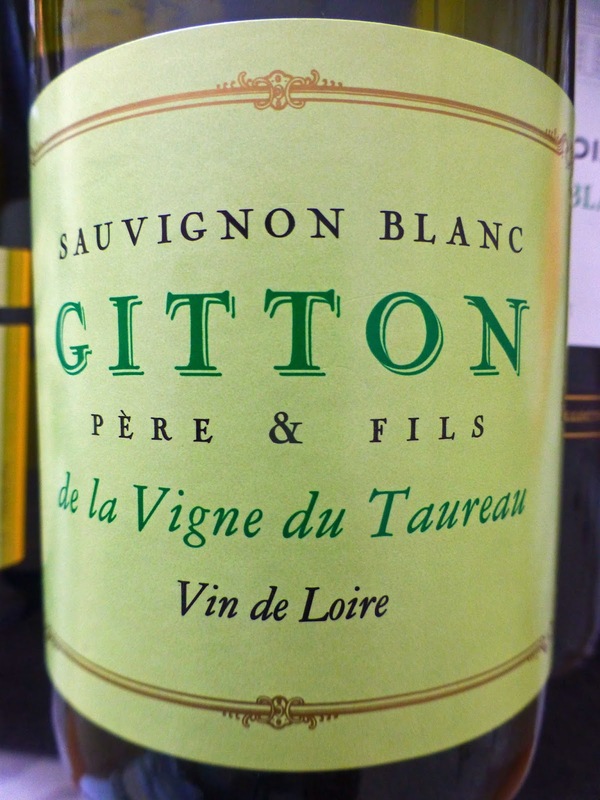 A really pleasant and elegant drop and Very Highly Recommended. Wohlmuth say it goes well with asparagus with gravadlax salmon; chicken breast with red pepper sauce. Please take note also that they advise serving it at 12 degrees - they know what they are talking about and the advice will help you get the very best out of a top notch wine! Niederösterreich is the name for Lower Austria. 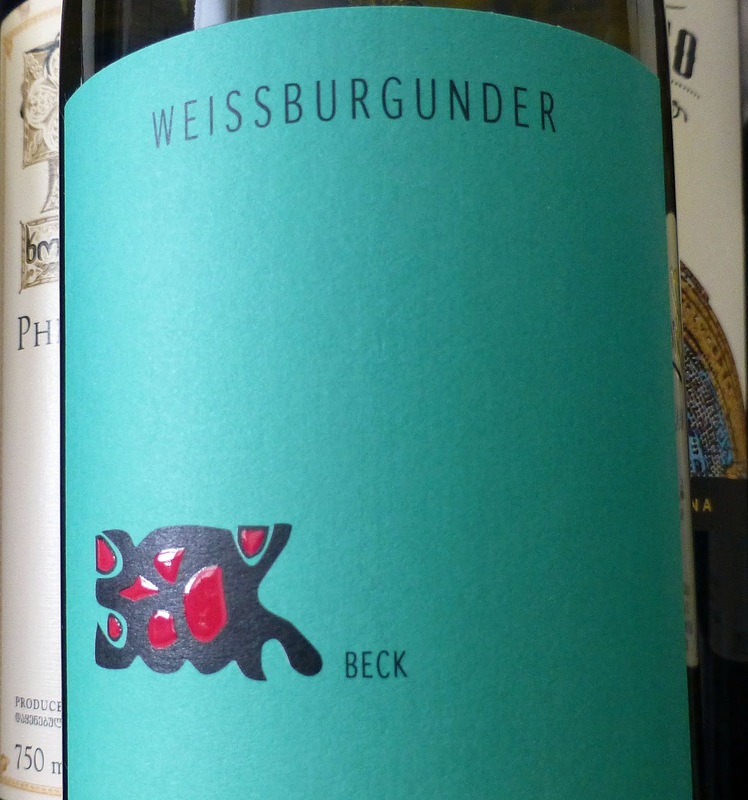 Trocken is dry, which is the case with many Austrian wines. Blauer Zweigelt is a red grape variety, widely grown in Austria. 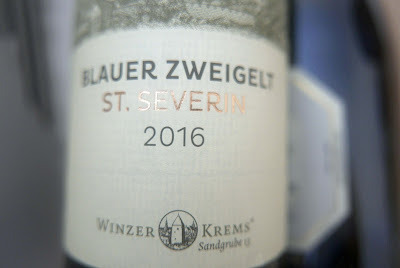 St Severin is the wine name. This well-priced quality red wine has a dark ruby colour, lighter at the rim. 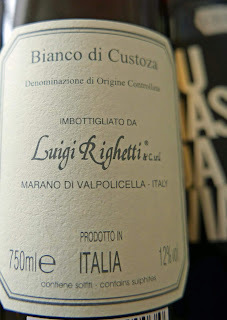 Gorgeous and intense fruit aromas. Also engaging red fruit flavours (cherries, berries, redcurrants), a touch of spice, full bodied and quite dry to the finalé. Overall though this is easy drinking, light and bright, not unlike Pinot Noir, and is Highly Recommended. The winery, which is situated 70 miles west of the capital Vienna, recommends matching it with game, beef and “a lot of cheese varieties”. Three Excellent Wines. From Beaujolais to Italy to Austria. Three of the Best. From Beaujolais to Italy to Austria. 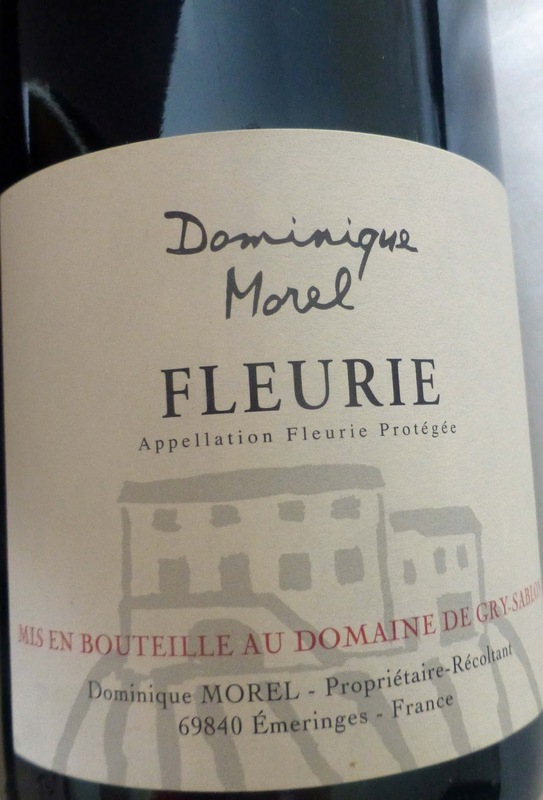 Fleurie, like all ten crus, is in the east of the Beaujolais region. 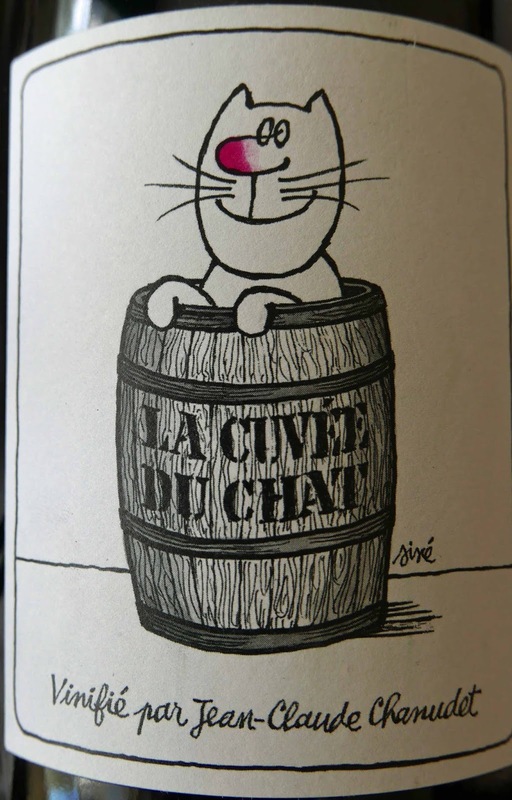 Here Gamay, always refreshing and never short of acidity, thrives on the granite soil. 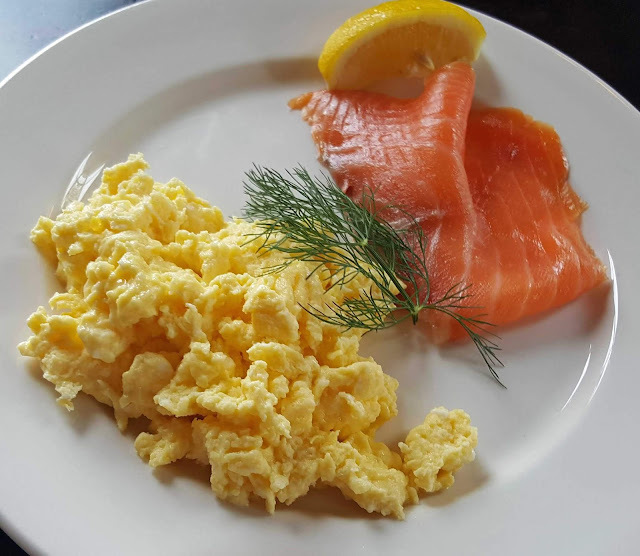 Fleurie is an excellent partner for a wide variety of lighter dishes. 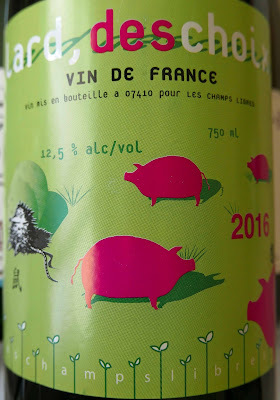 This is an excellent example of the expressive Gamay, no doubt helped by the fact that the fruit was well ripened in the good 2015 vintage. 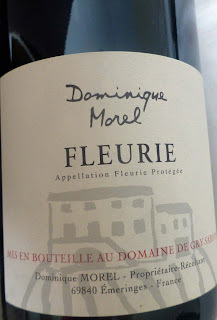 Serve at 15 degrees to get the best from this Fleurie. I found it easy to make my mind up here. No need to wait for the second glass - though that did come - Very Highly Recommended. The first thing I really noticed* about this bottle was its glass closure; plastic is also used in the seal. It is marked trocken (dry) and made by Fred Loimer in the Kamptal area of Austria. Kamp is a river, a left bank tributary of the Danube which it joins near Krems, about 45 minutes north-east of the famous monastery of Melk. They have been organic since 2006 and admit to having been inspired by the natural scientist Rudolph Steiner. “this has brought us, we admit, criticism from some quarters”. 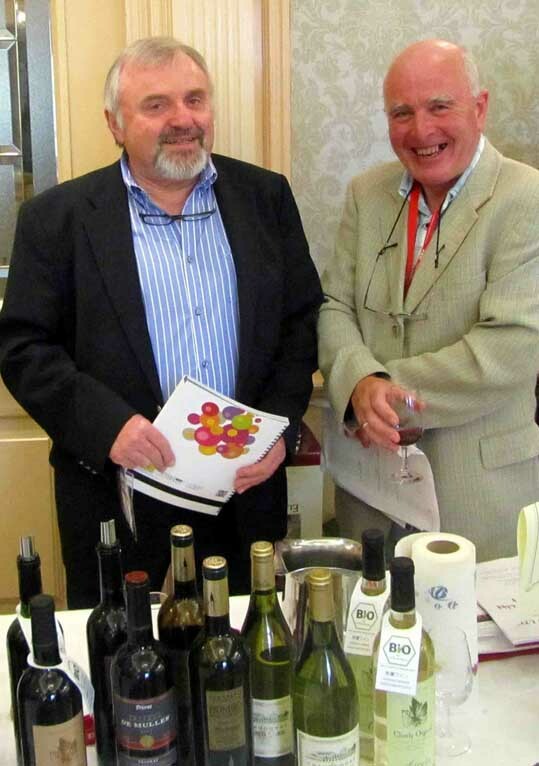 Their wines though have not, on the contrary. 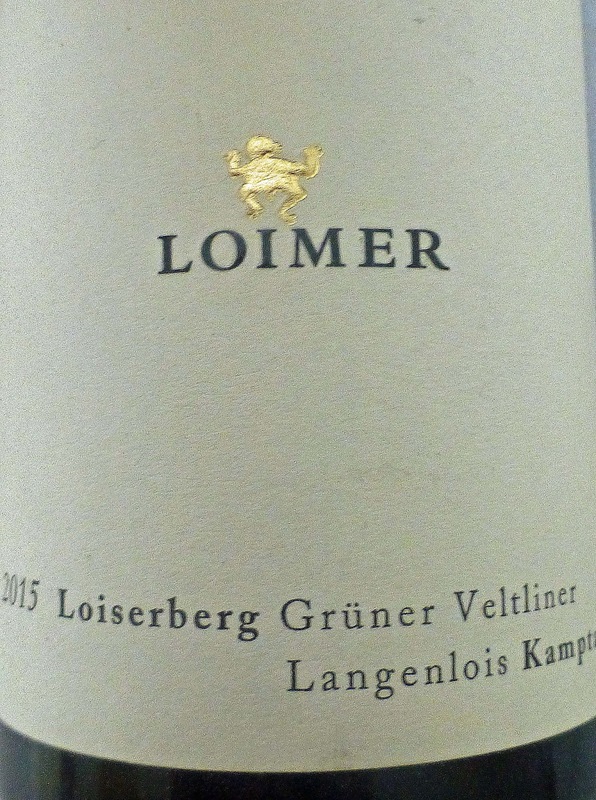 You’ll find the typical Gruner characteristics of herb, spice and apple here in this refreshing example. 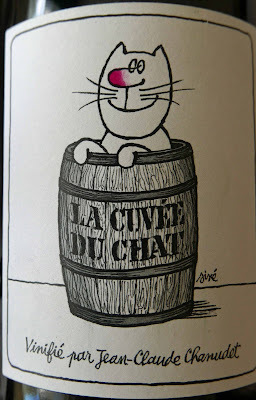 There is a good yellow colour and a mixed nose of fruity and herbal notes. There is a peppery touch on the lively palate, along with mellow fruit flavours (2015 was a warm vintage), nice acidity too and excellent balance. 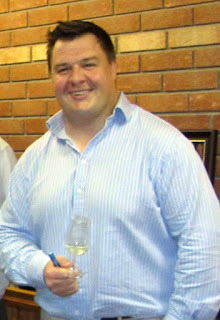 A mineral character is prominent in a good long finish. Highly Recommended. 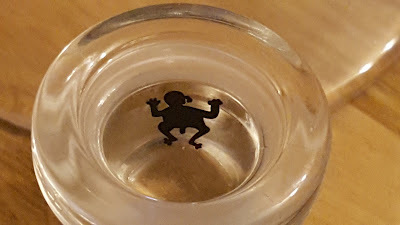 * One of the last things I noticed was the cheeky little fellow embedded in the glass closure! 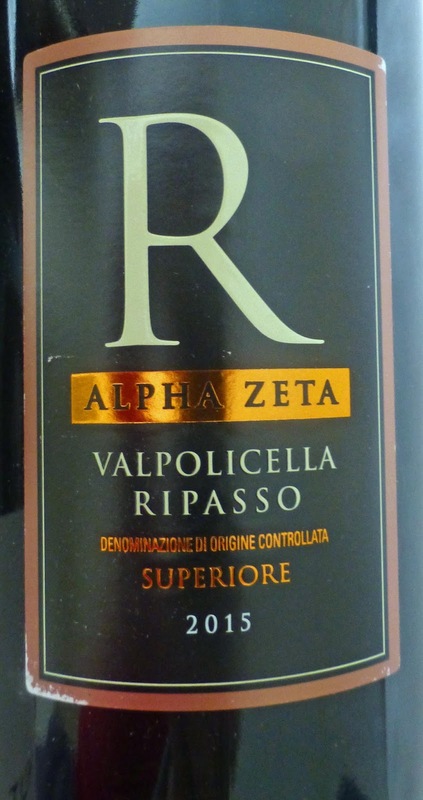 Alpha Zeta Valpolicella Ripasso (DOC) Superiore 2015, 13.5%, €19.99 Bradley’s, Cork; JJ O’Driscoll, Cork; McKeoghs, Killaloe; Wine Online; World Wide Wines. I know quite a few of you are Ripasso fans and this is another fine mouth-watering example of the technique and indeed has been described as a “mini-Amarone”. Grapes used are Corvina/Corvinone (70%) and Rondinella (30). Ruby is the colour. Aromas speak of cherry and you may note the slightly raisin-ed notes familiar from Amarone. 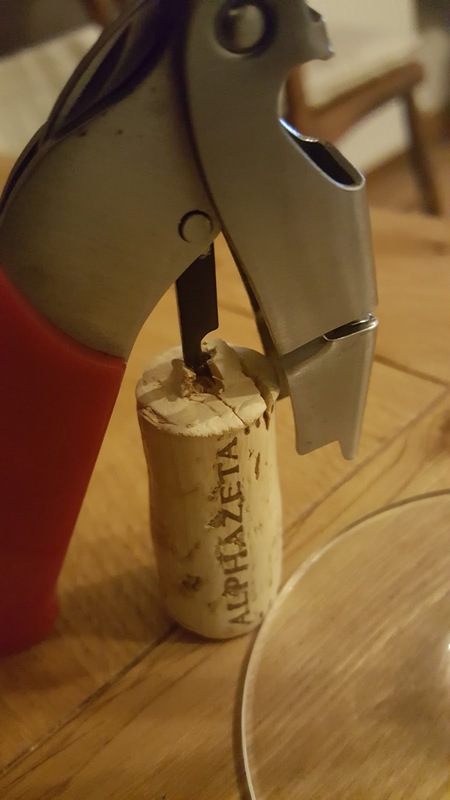 It has a rich concentrated palate, the cherry staying prominent, spice too, well balanced though with a fresh and dry finish, long too. Highly Recommended. 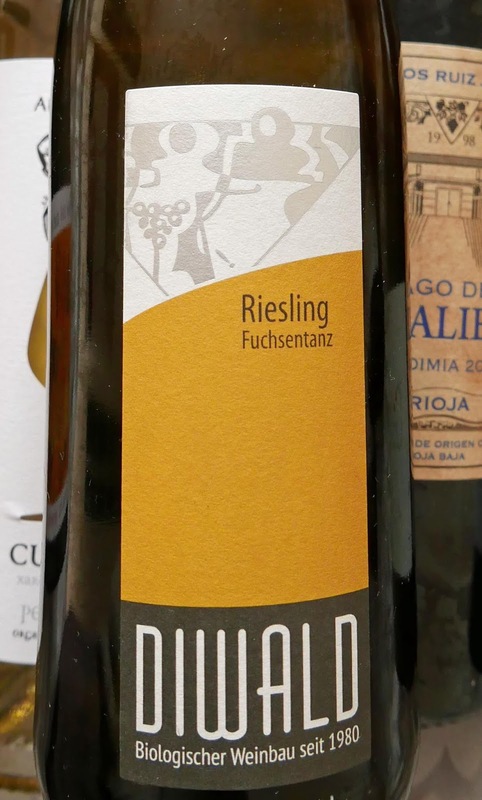 The Wohlmuth family have been in wine since 1803, the winery now run by Maria and Gerhard as well as their son Gerhard Josef and his wife Marion. Hand in hand with nature is the motto here “with an uncompromising aspiration for quality”. 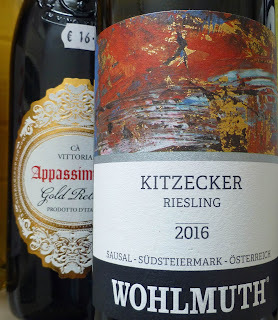 Lots of hard work involved, much of it down to the steepness of the vineyards around the village of Kitzech (close to the city of Graz, European Capital of Culture two years before Cork) in Südsteiermark (South Styria). With an average steepness of up to 90%, they are among Europe’s steepest. The soil is slate which leads to deep-rooted vines. 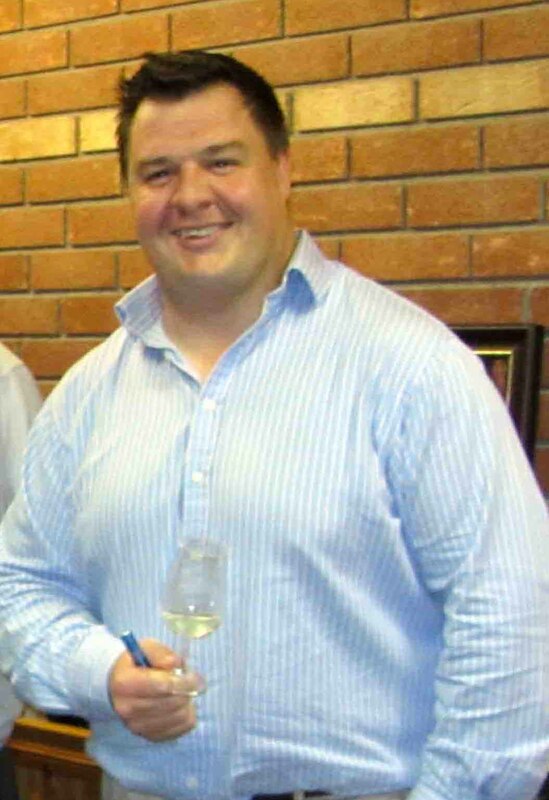 Here, they grow mainly white varieties and also Pinot Noir. The grapes for the Aristos are grown to the east in the Neckenmarkt vineyard in the Mittelburgenland region (a couple of hours east of Graz and close to the Hungarian border) where they have been producing since 2002. 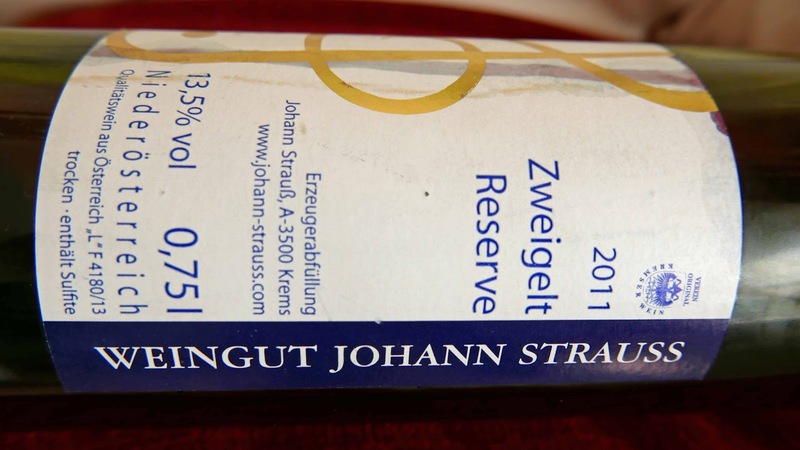 Quite a lot of info on the back label: it is a quality wine and a dry one. 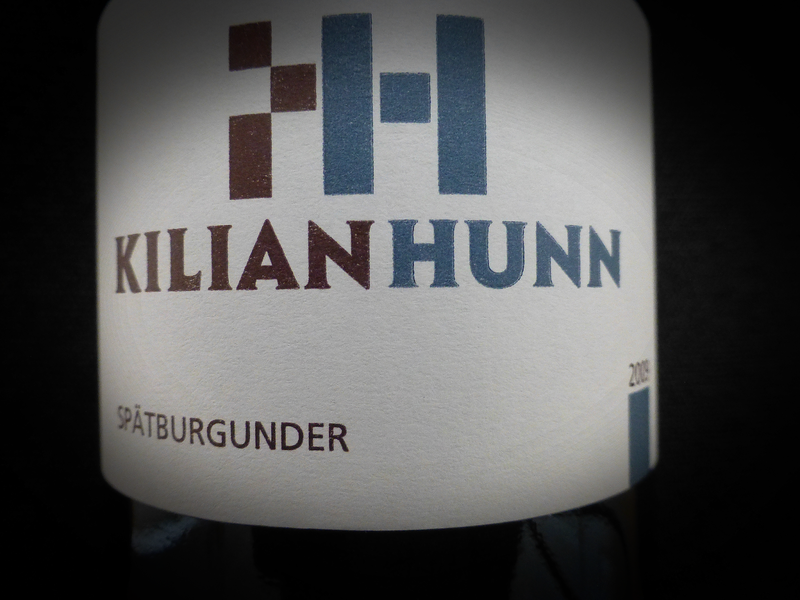 The grapes are hand-selected and it is a blend of Blaufränkisch and Cabernet Sauvignon, aged in French oak. The vineyard is in Neckenmarkt which has loamy slate and shell limestone. 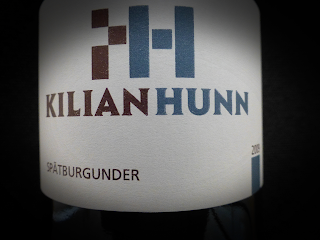 The Blaufränkisch is “our great red wine love”. 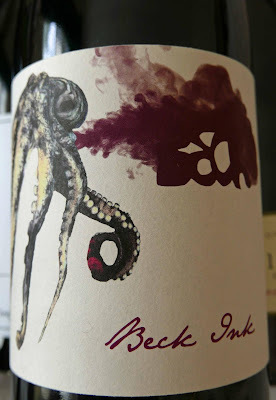 It is a light (and bright) ruby colour with aromas of blackberry and blackcurrant and a little pepper too. 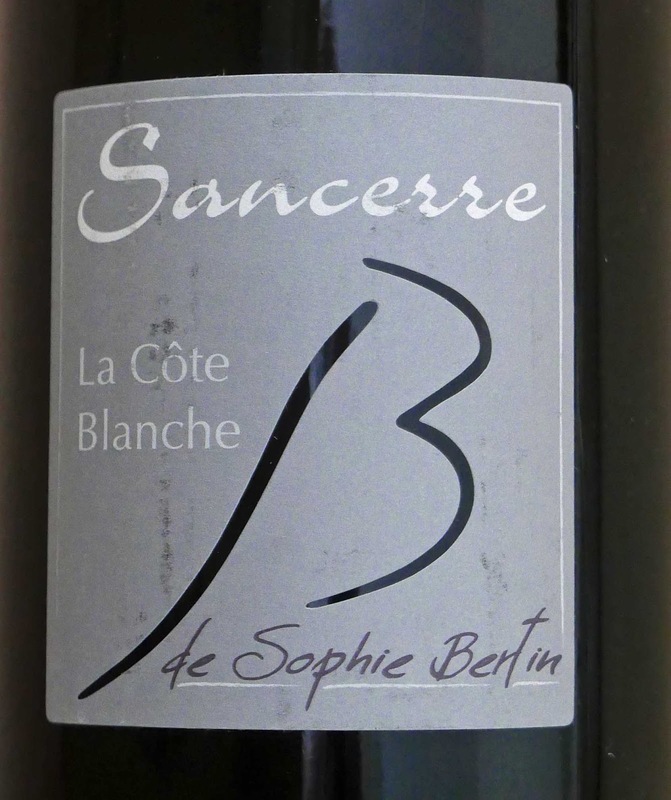 Pleasant fruit flavours on the palate, medium bodied with a little spice and soft tannins. Nice acidity too, promising a good match with food (lamb cutlet; duck breast on lentils are suggested), and the wine is Highly Recommended. Wohlmuth say this “refined Burgundy-style wine” has “lots of potential”. 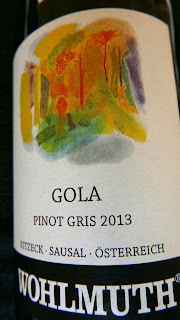 Gola (the vineyard) is of Slavian origin, the word meaning “naked”, which refers to the meagre slate soil. Here the roots go deep and the “soil” is reflected in the wines. 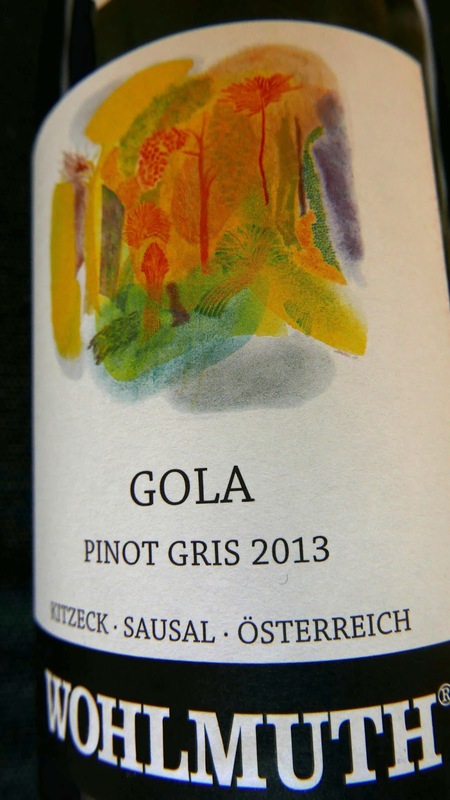 In Gola, they also grow Chardonnay, Pinot Blanc and Riesling and more. Light straw is the colour. 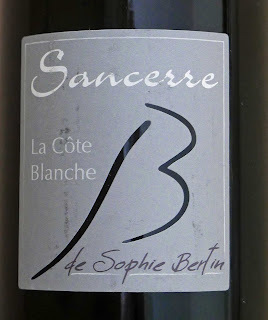 There are very pleasant aromas indeed, a mix of blossom, white fruit, herbs. It is zingy, peppery and dry. 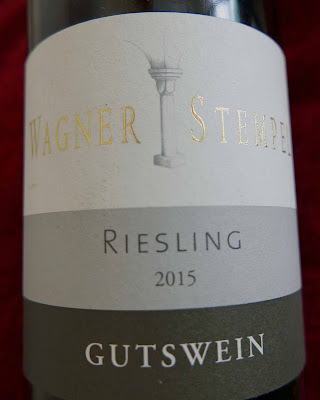 Quite a palate-waking intro with ripe stone fruit flavours, no shortage of minerality and an excellent lingering finish also. Highly Recommended. Food pairings suggested are classic pan-fried chicken and also wild garlic risotto. 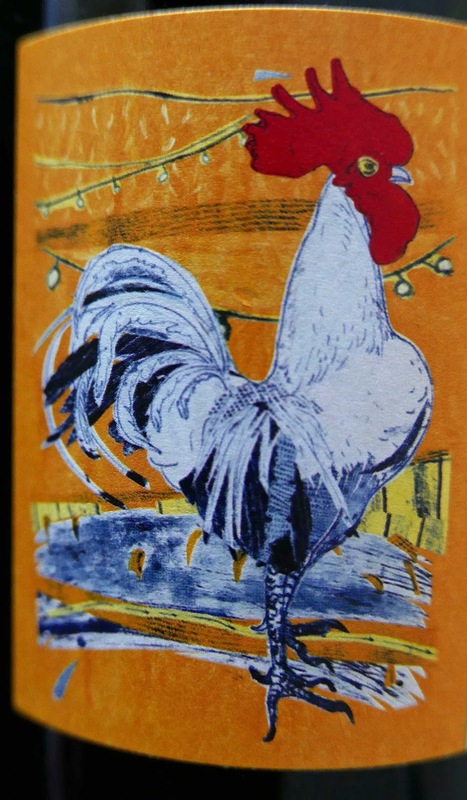 The Wohlmuth Winery is well-known for the artwork on their labels; the painting on the 2013 bottles is by Professor Ulrich Gansert. 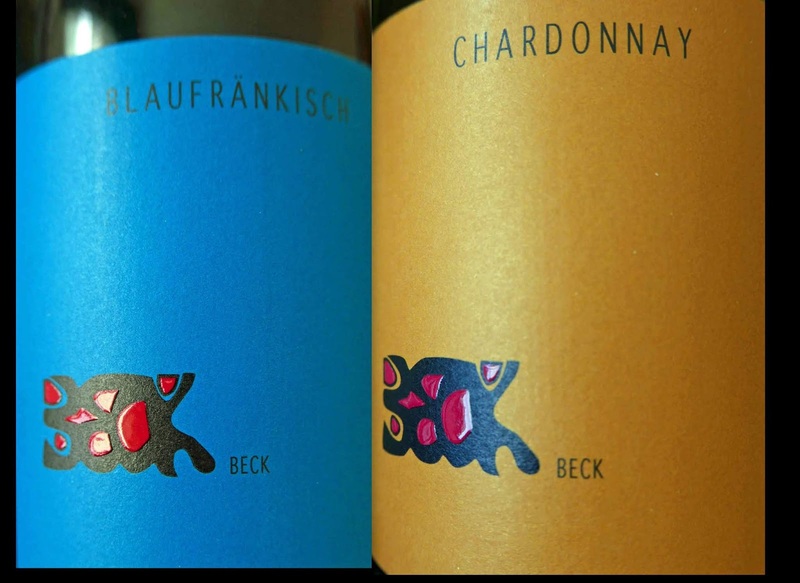 “We don’t like Coca Cola wines or Glass House tomatoes,” declares this organic pioneer from Austria, their way of saying they prefer to make their wines in the vineyard. Organic it is and it also looks and tastes very much like a well-made classic Gru-Vee. It is light gold in colour, bright and clean. White fruits in the aromas (apples and gooseberries, I thought). 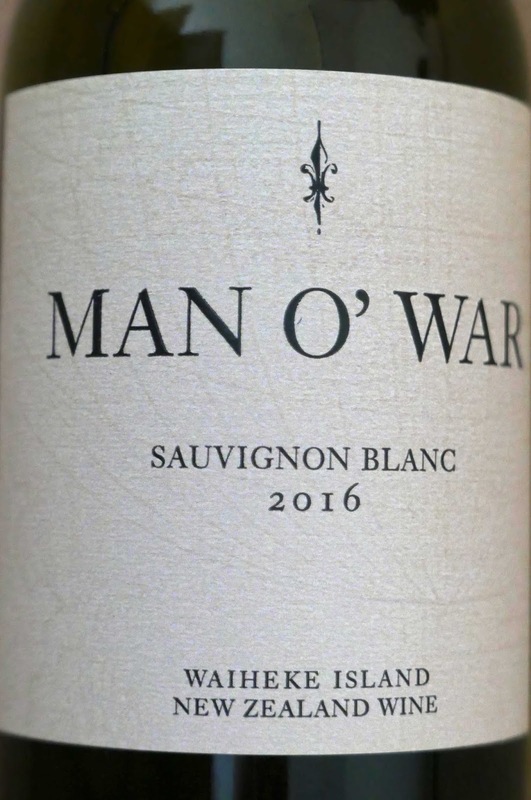 Refreshing white fruit flavours follow with a perceptible tingle, superb body though and excellent balance and a good long finish. Very Highly Recommended. 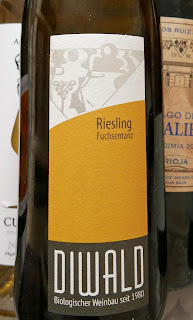 The vineyard is located north of the Danube, roughly equidistant from Vienna to the south-east and Melk (with its famous monastery, where they serve an excellent sauerkraut) to the south-west. Lots of talk, including some guff from this quarter, on Pinot Noir from Burgundy, New Zealand, Chile, even Oregon. All good for sure. But do be sure to add Germany to the short-list. With confidence. And yes it is Germany. Lots of Badens around. More than one in Germany, one in Switzerland and there's even a Baden-Baden in Austria (the only one I’ve visited). Baden means spa so that accounts for the many towns with the same name. Colour is a youthful red, red to the very edge, despite its relative age. There are good berry aromas, mainly strawberries. 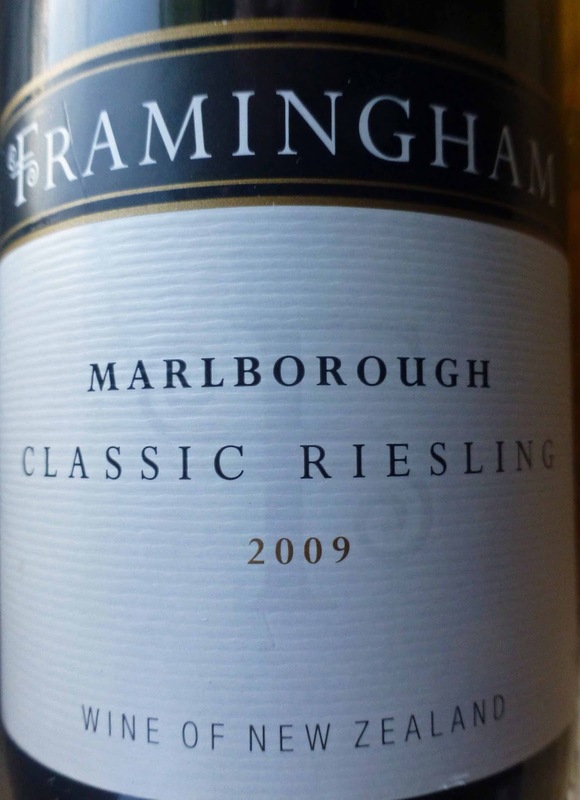 Super fruit flavours, dry, elegant, then a persistent finish. Simply excellent and Very Highly Recommended.